Many articles have been published recently on the subject of San Francisco's Municipal Transportation Agency (Muni), and the problems associated with it. This is an attempt to gather salient points from several sources, and lay them out in a single summary. Together, they paint a dark picture. If you have depended on Muni, you may have found yourself stuck in a tunnel for unknown reasons, waited for a bus that never came, been unable to board a vehicle due to overcrowding, witnessed confrontations between drivers and passengers, watched fare cheats board unchecked, or wondered about cleaning protocols. These have been common grievances for a number of years, and almost accepted as part of the Muni experience. Bigger issues have recently begun to impact riders further. On December 5, 2009, Muni implemented a roster of changes which included service reductions to 32 routes and the elimination of 6 routes. The notice posted on the Muni website included a letter to the public from Tom Nolan (Chairman, SFMTA Board of Directors) and Nathaniel P. Ford Sr. (Executive Director/CEO) in which it was explained that the actions taken were "due to the global recession" and "inescapable economic realities". It was also noted, without irony, that the changes would "(continue) to define our unique, Transit First City". SFAppeal has published an article projecting further service cutbacks in the near future. In January 2010, the price of monthly Muni/BART passes was raised from $55 to $70, and an alternate non-BART pass offered at $60. This represented an unprecedented doubling of the cost for passes (in addition to an increase from $1.50 to $2 for individual fares) since 2008. On Tuesday, January 19, 2010, the MTA Board will consider proposals seeking to cut service further by decreasing frequency of buses and trains across the board, and raising fares for some lines including the F-line streetcars. Following the service reductions and fare increases, Muni announced that it still had $47.1 million less than what it needed just to continue operating through June, 2010. In response to the problem, they laid off 250 workers, including 24 parking control officers (who directly generate revenue for the agency by issuing citations) and bus cleaners. Nathaniel Ford was quoted as saying "I feel like we've done our due diligence on this matter." In light of the continual crisis, it would seem pertinent to ask: Who decides how much money is enough? (The current annual budget is $816.7 million.) And who decides how to most effectively spend the money? Where does it actually go? The list is ordered with the highest salaries first, so you see the figure gradually fall as you page through. The most common titles are Engineer (52), and Manager (38), rounded out by variations on Analyst, Inspector, Planner, and miscellanies like Senior Fare Collections Receiver ($119,238), plus a few unknown or missing titles. From this data, it looks like Muni paid something in the range $17 million in 2007 on salaries for just the top 2.7% of its workforce (based on the 5,000 employee figure in Muni's December 2009 public letter). SFGate has reported as of January 18, 2010, that Nathaniel Ford's salary will be reduced to $308,837 (not including incentive-based bonuses) "in recognition of the economic crisis", but that the MTA Board is poised to extend his contract for four more years. Ford is also guaranteed a severance of one year's salary when he does leave (down from two years' salary). Questions about Muni compensation are typically addressed by Irwin Lum, spokesman for the Transport Workers Union. When Muni operators were awarded a bonus capped at $3,000 at the end of 2009, Lum justified it (in a disagreement over the matter with City Supervisor Sean Elsbernd) by stating that drivers do not have the same dependent health coverage that other city workers have, and therefore deserve the extra compensation. As reported by sf.streetsblog.org, a December 2009 public meeting to review the agency's performance for the year included the revelation that "unscheduled absenteeism among MTA operators reached 14.4 percent in the middle of 2009". (SF Examiner reported the rate as 15.2 percent.) Muni CEO Nathaniel Ford was apparently absent from the meeting. Union spokesman Irwin Lum blamed the absences on two factors: back injuries and other ailments resulting from poor vehicle maintenance, and fear of riders angry about the "big changes happening to Muni". The same report also noted that mechanical breakdowns affecting the agency's light rail vehicles are on the increase, and that average on-time performance system-wide was down to 73 percent. Regular riders can list a number of issues that seem to perpetually go without being addressed: Train doors that won't close (especially on an incline), dispatch systems that send out fewer in-demand trains and gluts of unneeded trains, frozen traffic screens in stations, broken fare boxes on buses. And yet, Muni paid six-figure salaries to no less than 52 engineers (in 2007). Are those engineers still on the payroll? In 2008, ABC News ran a series on Muni which included segments titled "What does it take to get fired from Muni?" and "Muni driver with most complaints exposed". These include surveillance video from buses, showing incidents of abuse, and reports of discriminatory treatment and potentially dangerous actions by drivers. ABC states that it had to sue to get access to the materials. These reports have a sensationalist ring to them, and anyone who has ridden Muni frequently can testify that there are many conscientious, courteous drivers in the fleet. But an important question is raised: If these few egregiously bad public-facing Muni employees are not fired, despite a litany of public complaints and documented misconduct, how likely is it that merely incompetent or ineffective employees are ever removed from the payroll? On January 2, 2010, a Muni bus driver ran a stop sign and collided with a pickup truck (which also failed to stop), sending five bus passengers (plus the truck driver) to the hospital. Muni spokesman Judson True subsequently told the Chronicle that drivers involved in accidents "can face disciplinary action, including termination". No specifics were given about what would actually happen to the driver in this case, and True referred to it as a "confidential personnel matter". In the wake of the July 18, 2009 West Portal train collision (which injured 48 persons), SF Weekly published an article that included speculation by attorneys with apparent experience suing transportation agencies on the kinds of payouts that San Francisco could be liable for as a result of injury-related accidents. They postulated a vague "many millions". This is less than a precise analysis of the real and potential financial toll of compensatory payouts. But it's clear that sums of money which should be spent on keeping Muni running often end up in the hands of those who are successfully able to claim injury from at-fault incidents. In January 2008, the Chronicle (SFGate) reported that Muni funds had been used to pay salaries for staffers in Mayor Gavin Newsom's office, including aides, an event coordinator, and a web developer to build a site for Newsom's re-election campaign. By way of explanation, Newsom spokesman Nathan Ballard stated "I know it's not pretty, but it is an efficient way of getting city business done." In April 2009 both, SFGate and SFAppeal reported that other city departments commonly sent work orders (or invoices) to Muni for services rendered, and that these totaled $67 million for the fiscal year ending in June, 2009. The city's non-emergency 311 call-in help and info center apparently managed to get in on the game as well. Every a time someone calls to find out when the next bus is coming, it costs $1.96. At the end of the year, Muni is asked to pay for all the calls, to the helpful tune of $4.5 million. This amazing city of San Francisco - a city that managed to create a 1,017-acre garden out of sand, a city that rose from the ashes of devastation in 1906, a city that built both the Golden Gate Bridge and the Bay Bridge in a single four year period - surely can manage to run a first-rate transportation system. For the sake of people who want to work, who want to shop, who want to explore the city, who want to get out of their cars and roam the neighborhoods and hills of San Francisco, we have to get this right. We owe it to the community, to the environment, to our economy, and to our legacy, to provide a way to get around town. Is Muni an agency starved by economic circumstances, or one that has been gutted from the inside out by corruption, waste, and negligence? All things considered, it looks like some of the former and a whole lot of the latter. To those responsible - get out of the way, because your day is over. Well said. I wish I knew what I could do as someone who wants to be car-free to make things better. The lack of reliable service means missed appointments and connections to services that are usually on time, like Caltrain. Great post! Really appreciate the stats and figures you provided. 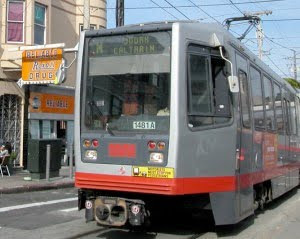 I was also skeptical about Muni being corrupt, someone needs to get rid of this system! Payroll software and payroll services have evolved to remove the traditional pains around doing payroll. Most payroll software will provide you access to the latest payroll schedules on a subscription basis. the pace of plant closures and orderly liquidations has slowed. It may be illustrative that if the “big guys” can make it, so can the “little guys” as a level of stability returns to the market for commercial printing and related services.